The Fanatic is bringing back the 5K A Day – Big Green Giveaway. Starting April 1st, 5 times each weekday you'll have a chance to win $1,000. 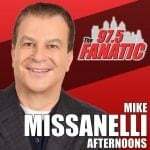 Listen weekdays at 8am, 11am, 1pm, 4pm and 6pm and The Fanatic will announce a Philly Special Keyword. 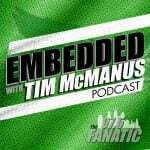 You’ll have 15 minutes to enter the Keyword on the Fanatic App or here on this website. In this Beasley Media Group national contest there are 3 ways to enter to win 1K five times per day… The Fanatic app, our website (below) and by texting the keyword to 45911. One random entry will be picked to win a thousand bucks! At the end of the promotion, there will be a $10,000 grand prize winner from everyone who enters on the app and website. 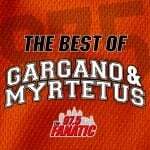 Brought to you on 97.5 The Fanatic by... Farryn Electric. Electric issues in your home? Trust the experts at Farryn Electric to keep your family safe. Visit FarrynElectric.com to schedule an appointment.